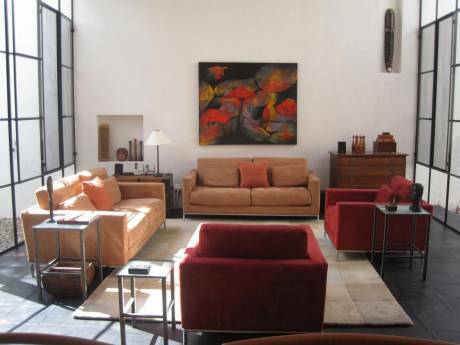 Centrally located in a quiet neighborhood with a flat 5 minute walk to the center Jardin. This newly constructed colonial contemporary home has travertine floors throughout and is appointed with high-end furnishings and fixtures including a gourmet kitchen. The home features two nicely furnished bedrooms, one wih a big tub and the other has two showers, one which is situatued in a private garden. Professionally landscaped with a central patio and two seperate entertainment decks, one with BBQ area. 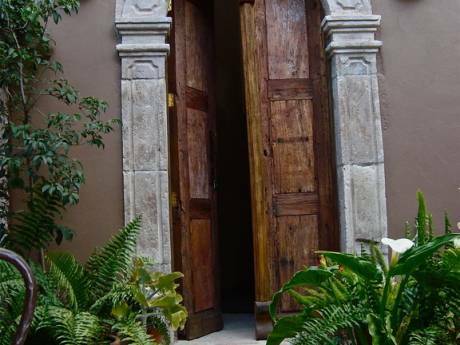 it's the perfect get away for one or two couples who want to explore the rich colonial atmosphere that is San Miguel. The house has a complete water purification system so all the water in the house is purified and safe to drink. There is maid service 3 times a week. We also have US network cable TV and a plasma system all setup plus satalite radio. This is a spectacular retreat for your Mexican holiday, contact me today! Smoke free enviorment! My current interest include travel, hiking, white water, fishing, reading and the arts. I usualy travel with my girlfriend Nancy, a recovering Lawyer from San Fransico or my sisters. San Miguel is the artistic heart of old colonial Mexico. It has a large bilingual community so not speaking Spanish is no problemo!. Airport shuttle service is available. It is best to fly into Leon, airport code BJX, the closest air service. You can also arrange transportation form Mexico City (MEX) which usually affords better airfares. San Miguel has been picked by several travel magazines including Travel & Leasure as a top 10 worldwide tourist destination. This is a walking town so a car is not needed but good sturdy shoes are. Taxis are plentiful and usually less then $2.00.US The town is located at 6,000' altitude so it can cool off in the evenings so bring some light jackets. It is easy to exchange for pesos and the ATM's give you the best exchange rate. There is good local bilingual medical attention available. There are several interesting other colonial cities and events nearby including; The International Cervantes Festival (FIC)it is the most important artistic and cultural event in Mexico and in all Latin America. It has been held without interruption since 1972, the year it was created and has as its venue the city of Guanajuato. 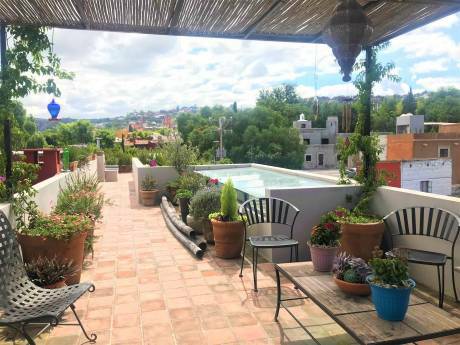 Guanajuato is also the capital of the state of the same name, birthplace of Mexicoâs independence. So you may want to do some excursions.